Your property is in good hands when you leave it to Upline Moving, a family-owned business that cares about your happiness. Apartment moving often ranks among the most challenging of all household moves in the Bay Area. Not only do you have to deal with the typically compact layout of the apartment itself, but you also have to battle with busy service elevators, a lack of street parking, and narrow halls and doors. If you’d rather not deal with these many obstacles on your own, leave them to the apartment movers of Upline Moving! At Upline Moving, we’re proud to be a locally based and family-run apartment moving company, and we’ve been serving the Bay Area for more than a decade. Whether you’re moving into a SoMa studio or a Nob Hill suite, our residential movers have the training, experience, and equipment required for a hassle-free apartment move. We’re also a BBB-accredited ProMover that’s been consistently named among the “Best of San Francisco”! Choosing Upline Moving is the best way to ensure an on-time, within-budget move that suits your exact needs. We recognize the huge amount of trust you’re placing in our team, and we’ll always go above and beyond to meet that trust with the highest level of responsible, caring support. We guarantee honest services and absolutely no hidden fees! Find out why over 70% of our customers come back to us for their next move by reaching out today. 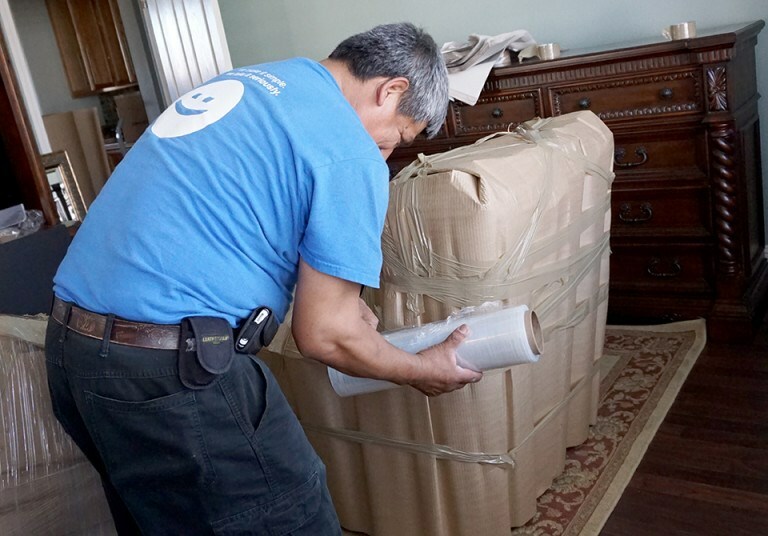 Just call our Bay Area residential movers to learn more, or use our online form to request your free in-home cost estimate today.